“Several years ago I was engaged to a man named Dan. At the time, I was 29 years old, no longer a child by anyone’s standards. It wasn’t blind puppy love, or infatuation. I had already been married once, and had a 3-year-old daughter. Dan was to me, the most perfect man I had ever met. He was financially and emotionally stable. He had a job, a car, an apartment, and plans for a bright future. In the year that we were together, we never fought, indeed, I never saw any hint of emotional or psychological trouble. One day, quite unexpectedly, I got a phone call from his sister. He was in the hospital. He had cut both wrists and been found, very close to death, in his apartment. He had surgery to repair the physical wounds, and spent a week in the hospital’s psych ward to heal the emotional wounds. All he ever said to me was that it was a stupid, drunken mistake. He snapped when the pressure over whelmed him. He thanked God that he was still alive. When he got out of the hospital, we had the best two weeks of our relationship. We spent time having fun with my daughter. Dan laughed, smiled, told us he loved us. Told me he was glad to be alive. 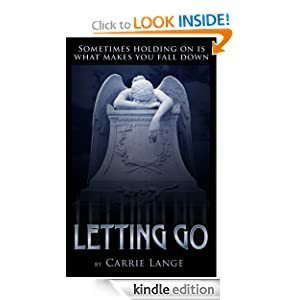 The words of Carrie Lange, Author of ‘Letting Go’, A Compelling Fictionalized Autobiography Raising Vital Funds & Awareness for Suicide Prevention. Carrie wrote this book for her daughter who also developed suicidal behavior. Carrie is also a suicide survivor who is committed to preventing suicide and helping survivors find solace. Carrie is raising funds for the National Suicide Prevention Lifeline and awareness for society’s growing suicide statistics. “When Dan put a gun to his head and pulled the trigger, he thought it would all be over, but he soon learns that in death, just like in life, you don’t always get what you want. As he watches the consequences of his suicide he meets Tar, a benevolent spirit who tries to help him let go of his life on Earth and move on to ‘real Heaven’. A dark, tormented spirit is drawn to Dan’s fiancée, Anne, as she struggles with her grief and guilt, becoming her constant companion. “Based on her experiences as a suicide survivor, Carrie Lange’s ‘Letting Go’ hopes to save lives by giving pause to someone who is contemplating suicide, if only long enough for them to reach out for the help they need. With all profits donated to the National Suicide Prevention Lifeline, Lange is working voraciously to give thousands the help and support they need to stay alive. Carrie’s Blog is at http://www.littleblogoflettinggo.com. 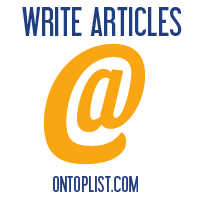 which is dedicated to providing resources and information for suicide prevention as well as depression and grief management. Join Carrie in her mission to prevent suicides! ← Why Did You Choose That Book? What if All You Knew Was Suddenly Gone? Featuring Marian Allen, Author Of Sage and Sideshow in the Center Ring! 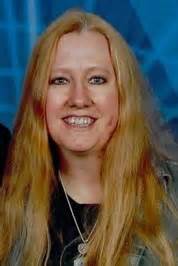 Patricia Beykrat, Author Of Vicious in the Spotlight! Featuring Luke Murphy, International Bestselling Author Of ‘Dead Man’s Hand’!